A cotton blended fabric gives this empire lamp shade the look of textured burlap. Add a crisp, updated touch to your lighting with this impressive empire shade. The design features a cotton blend exterior, resembling fine burlap, with self-trim and a polished brass finish spider fitting. 6 1/2" across the top x 15" across the bottom x 10 3/4" on the slant x 10" high overall. Empire shade in a cotton blend fabric resembling fine burlap. Unlined interior. Polished brass spider fitting and harp. to match an existing shade. Love the burlap and shape of shade compliments decor of living room. Because I think it will match our lamps. I bought this shade too replace a drum shade that was hard to read by because the light flowed up and down but not out. I have old brass lamps which needed updating! Casual lampshade needed for small floor lamp in den. This one is perfect. We have this shade on another lamp and really like it. 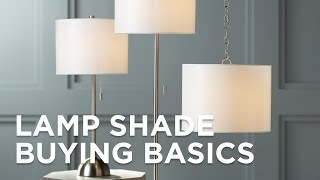 We have two new table lamps in another room that we are purchasing this shade for since the first one has worked so well. How tall is the harp? BEST ANSWER: Hello - 9" harp is included. What color is the harp? BEST ANSWER: Hi - polished brass. What is the overall height of the harp.?? A 9" harp is included. Do you stock a shade that is 5" top, 16" bottom, 11" slant height? BEST ANSWER: Unfortunately, we do not have a Burlap shade in the dimensions provided; however, we have one that is very close in size. I have included the style number. Is there any plastic on this shade? BEST ANSWER: Yes. And I wish I would have known. The inside is white plastic. I'M LOOKING FOR A BURLAP LAMP SHADE THAT IS 71/2" high x 9"across the top & 12 in across the bottom, it has to screw onto the light fixture.? BEST ANSWER: Unfortunately, we do not offer a lampshade that screws onto the light fixture. Not only attractive, but very substantial...PLUS a great company to deal with! This shade replaces one from a lamp I have had for years, now it looks like a brand new lamp. I love it. The carton/box and my items were in excellent condition. Bought these shades for 2 wall lamps. they look great! Arrived quickly, exactly what I was looking for, and looks great. Product came exactly as described. 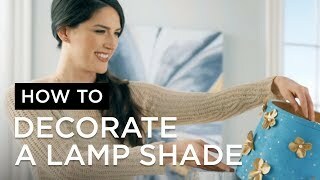 Website provides excellent information in regards to size and type of shade. Would buy again from Lampsplus. These are a quality product, and the price is great! You cannot find a quality product like this anywhere else for this price! Great follow up on purchase. Great quality piece with an industrial modern look. It makes a beautiful bedside or family room lamp. I especially like the three-way switch that allows either bulb or both to be on singly or simultaneously. Perfectly fine shade, but picture did not show texture and color accurately. A polished brass spider fitting supports this empire lamp shade with classic style.